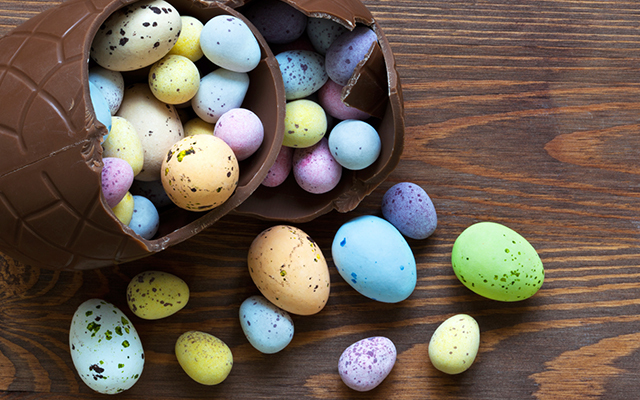 Easter is the time when our healthy eating habits are really put to the test. It’s a time of hot cross buns, chocolate bunnies, chocolate eggs, chocolate everything, and not taking part in the egg swapping fun can make us feel somewhat deflated. So to add some holiday cheer back into the season, below you’ll find five reasons why eating chocolate is actually good for you. Researchers recently found that dark chocolate may help to restore flexibility to arteries, and may also help to prevent arteries from clogging by stopping white blood cells from sticking to blood vessel walls. A separate study also found that people who ate around 20g of dark chocolate daily had a marked improvement in their blood flow. 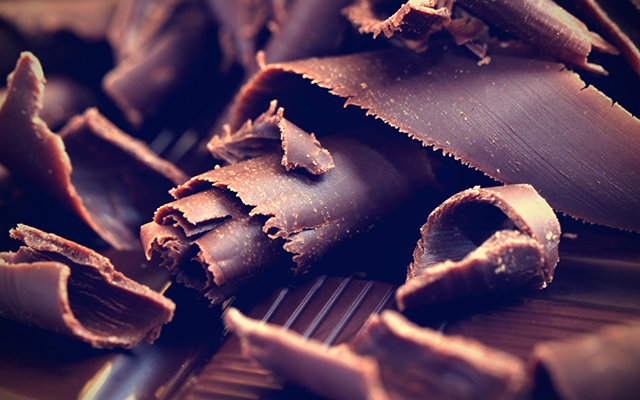 Chocolate may increase skin’s UV tolerance, according to recent research. The German study followed people who ate chocolate regularly over a six week period. The results found that after the six weeks, those that ate chocolate had 16% less skin reddening in the sun. But that’s not all, after three months, people in the study eating chocolate also had 16% denser skin and a 42% reduction in skin scaliness. Good quality dark chocolate may help keep you sharp and ward off memory decline, according to researchers. The reason for this amazing brain boost is that chocolate can help preserve blood flow in the brain, while at the same time it may help to reduce damage to nerve pathways in the brain. What woman hasn’t reached for chocolate to cope with PMS? You may be surprised, however, to learn that there is a really good reason for this. Chocolate contains magnesium which is a mood booster, and can help alleviate cramps and increase energy levels! A Canadian study involving nearly 45,000 participants found that those who regularly ate chocolate were 22% less likely to suffer a stroke. Chocolate contains flavanols, a fantastic set of compounds which may help to dilate blood vessels and lower blood pressure. Funnily enough, eating chocolate may actually reduce your appetite. According to researchers, a single piece of dark chocolate half an hour before meal times can signal “fullness” hormones in the body and make you eat less at meal times. So the good news is chocolate is actually much better for you than you thought. There are, however, a few things to keep in mind before you dive head-first into a bucket of pure milk chocolate. Before you go on a chocolate buying frenzy, it’s important to remember that the health benefits of chocolate were only found when people ate good quality dark chocolate (made from no less than 70% cacao). So if you want the health benefits, always go for dark chocolate. The health benefits of chocolate were found when people ate in moderation. Usually one or two pieces of dark chocolate daily. So remember, if you want the health boost, you need to eat chocolate in moderation. Try to eat pure chocolate. Don’t have your chocolate in cakes or biscuits as you will be consuming high amounts of sugar, fat and calories, and that will cancel out all the benefits of the chocolate that you are eating.